Construction of a new block of classrooms, workshops and Computer Laboratories was completed recently at the Newcastle Technology Centre Campus at Majuba TVET College to provide more opportunities for new learners choosing the NC(V) career path. 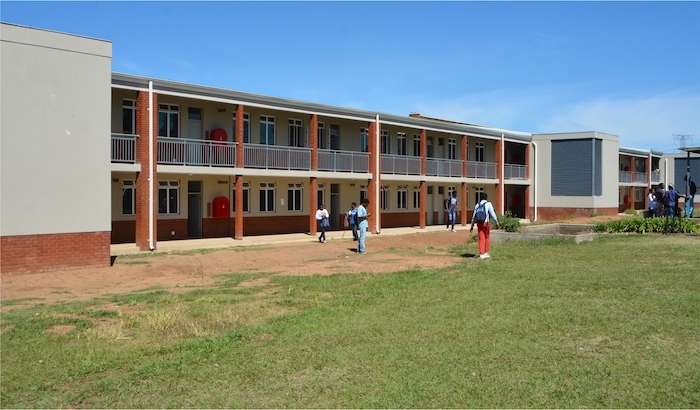 The infrastructure spent for the new building was in the order of R21 million and the amount utilised for the furniture & equipment, networked computer Labs and, other teaching and learning materials and staff facilities was approximately R2 million. This will ensure that the College provides a fully functional facility with the latest teaching and learning media, to deliver an enriching, rewarding and a relevant experience to the NC(V) learners. The new block will accommodate up to 700 students in several NC(V) disciplines. The new building allows students and the faculty to collaborate and engage in advanced teaching methodologies (including e-Learning, and online assessments) providing more opportunities to push the boundaries of educational research. The new building block at Newcastle Technology Centre will ensure that the College provides a fully functional facility with the latest teaching and learning media, to deliver an enriching, rewarding and a relevant experience to the NC(V) learners.